Limerick is full of interesting buildings. The following buildings are not just old run down looking buildings that you can easily walk past without a second glance, but are also full of history, architectural wonder, stories and life itself. 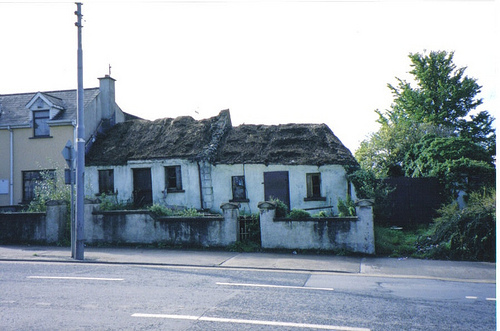 In the early 2000s the galvanised roof was removed from two abandoned cottages on the Dublin Road. Underneath was discovered the remains of thatched roofs. These were some of the last traditionally thatched cottages within the city boundaries. 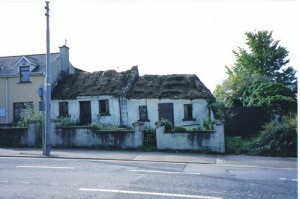 The cottages have since been demolished. There were mention of thatch cottages in the heart of the city in the 1840s, this was recorded in an article on about a sweeping brush manufacturers building fire.